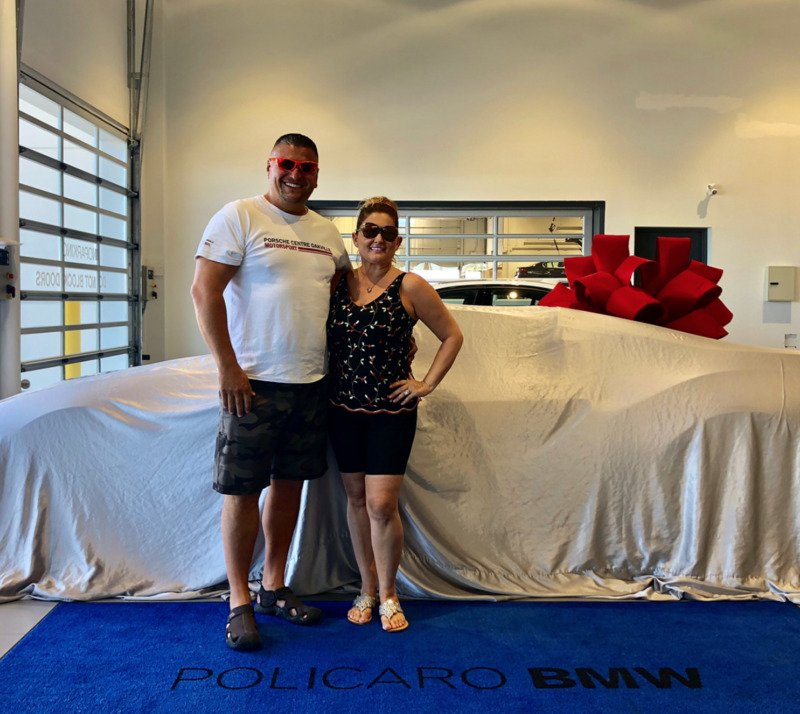 When Grace and Phil Trigiani headed to Policaro BMW last month, Grace knew their garage would be receiving another special vehicle. But, with her birthday still two weeks away at the time, she wasn’t expecting to see a big bow on it when they pulled off the cover, or to have the keys to the First Edition BMW i8 roadster handed to her. 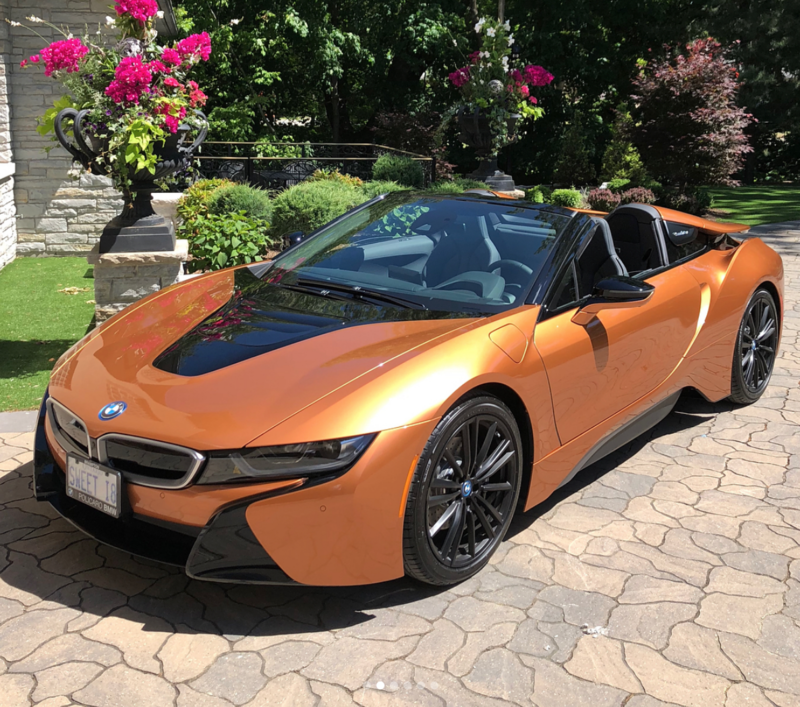 Grace’s birthday present is one of just 200 First Edition BMW i8 Roadsters, which were revealed to much fanfare at last year’s Los Angeles Auto Show. The limited-run roadster features exclusive interior features, 20-inch radial-spoke light-alloy wheels in Jet Black matt, and special badges and plaques, including a “First Edition, 1 of 200” designation on the driver’s side of the centre console. As a car collector, Ferrari Challenge driver/owner, philanthropist, and recently retired licensed mechanic and manufacturing company owner, Phil has been a “car guy” his whole life. These passions have definitely been transferred to the rest of his family. Today, the family of BMW enthusiasts (three out of 4 isn’t bad) enjoys taking short trips to auto shows or charity events together in their convertibles.